SendinBlue started in 2011 when Armand Thiberge and Kapil Sharma noticed how many clients were overpaying for commercial email marketing solutions and how many others were discouraged from even trying. They took the challenge and decide to change the way email marketing works for the sake of these people. Instead of focusing it on the commercial dimensions, they made it so all people; even small scale business owners can successfully launch their own campaigns. They were able to come up with SendinBlue, an email marketing solution that can help users easily create campaigns, successfully deliver their emails, increase their revenues all for a reasonable amount. SendinBlue was launched in 2012 and now has 100,000+ users. Their dedicated team ensures to improve their service and optimize it to the fullest. SendinBlue offers the most user-friendly, reliable marketing solution. They cater to both beginners and advanced clients ensuring easier marketing campaigns, SMS and email sending platforms to contribute success to business owners worldwide. There are available pre-made templates in SendinBlue that you can use for your transactional emails. There are free templates and also ones that you can purchase. Their email drafting tool allows you to create or edit a template. You can also integrate API into these templates. SendinBlue is a highly innovative and reliable marketing program to let you manage your email marketing campaigns. They offer marketing campaign services, transactional emails and SMS under one powerful platform. Contact management – lets you import contacts in bulk, create dynamic lists, segment your emails and include opt-in forms in your messages. Effective marketing tools – they have a newsletter builder to easily create newsletters and emails, HTML editor to customize your newsletters, social network integration to let customers easily share your content. 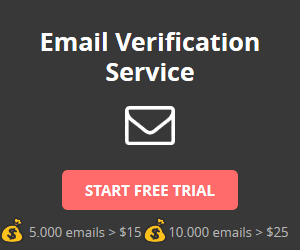 Reliable sending – they routinely do spam checks to ensure sender reputation and dedicated IP addresses to clients who send over 350,000 emails per month. Integration and Plugins – SendinBlue offers APIs and plugins to further enhance your campaigns. SendinBlue has multiple offers: SendinBlue offers different pricing plans for their clients. You can pay per month or pay-as-you-go with credit. Does SendinBlue have a FREE PLAN? Yes. SendinBlue offers a free plan. You can send 300 emails per day and use the newsletter builder for 60 days. Does SendinBlue have a FREE TRIAL? No. SendinBlue does not offer a free trial but they have a free plan available. Does SendinBlue offer an API? Yes. SendinBlue offers an API. All SendinBlue users can access these APIs.